University of Hyderabad invites application from bright, aspiring candidates committed to excellence in research to apply for Ph.D. programs in various Schools/ Departments and Centres in the January 2019 Session. Candidates are required to apply online through the University website. Please visit the University Website at: http://acad.uohyd.ac.in orhttp://www.uohyd.ac.in for details including courses offered, eligibility criteria, prescribed fee, reservation policy and the Prospectus 2018-19. Entrance Examination for the January 2019 session will be conducted in the University of Hyderabad campus only and Hall Tickets for the entrance examination can be downloaded from the website. List of the candidates shortlisted for the interview and list of selected/ wait-listed candidates will be published in the website accordingly. Candidates may please check the University website for downloading the Hall Tickets, results and the relevant formats required for admission. No personal communication will be made to the candidates in this regard. 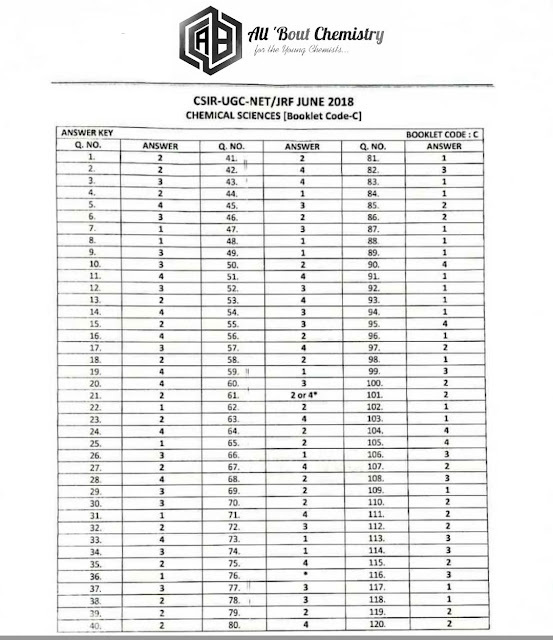 NOTE: A Total of 15 Seats is vacant in Chemistry, the respective breakdown of seats for different categories is given in the attached file above. GATE 2019 Registration has been started now. The application form is available from 1st September. This year, the exam is managed by the IIT, Madras. Graduate Aptitude Test in Engineering (GATE) is a national level examination. It is conducted to offer admission into M.Tech/M.Sc in engineering/ technology/ architecture and P.hD in relevant branches of science. GATE 2019 Registration, Notification, Eligibility, Syllabus & other details have been released. The application form filling is started now. Check here for application form details. 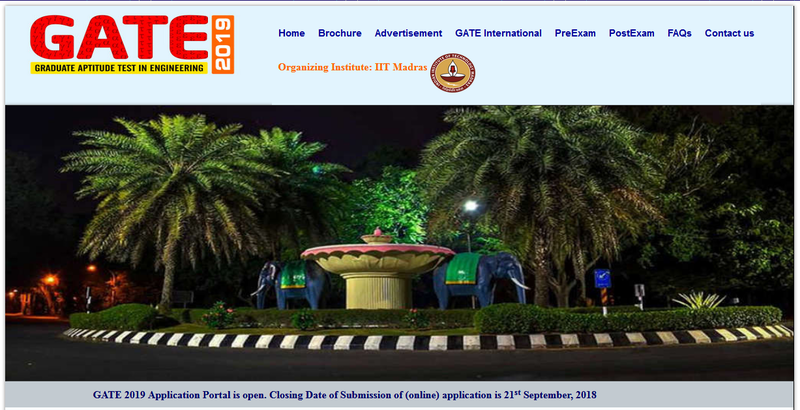 GATE 2019 Complete Eligibility Criteria. Check here to know more. 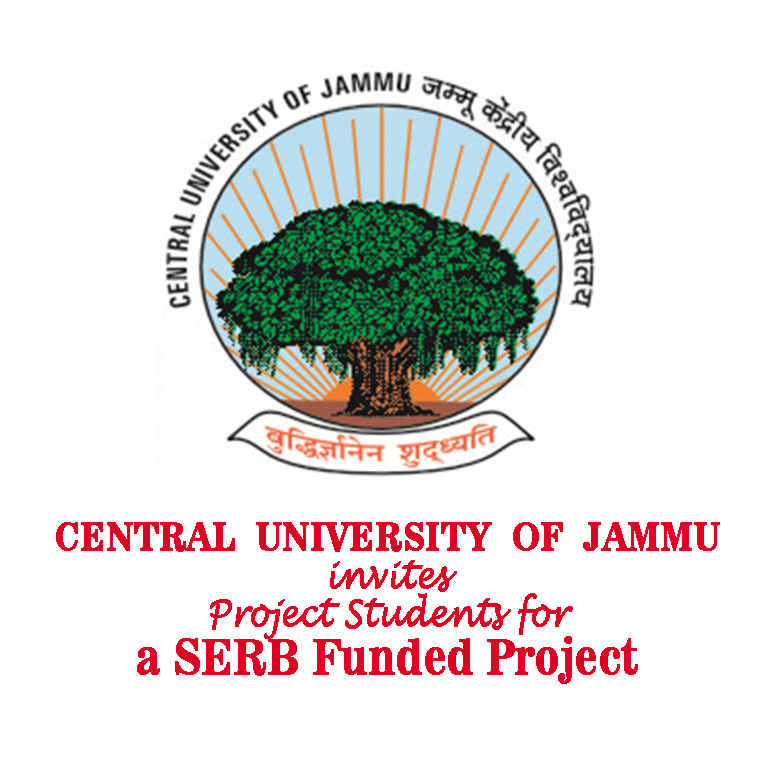 Student who is willing to work as Junior Research Fellow (JRF) in the Science and Engineering Reasearch Board (SERB), Department of Science and Technology, New Delhi sponsored major research project in the Department of Chemistry and Chemical Sciences, Central University of Jammu can send their details in the format and address given in the attached file. 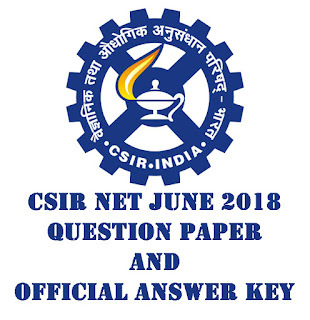 In this post we are providing Question Paper and the OFFICIAL ANSWER KEY provided by CSIR for the exam which held in June 2018. This post will help all the aspirants to check and calculate their marks according to the latest CSIR final Answer Key. The Question Paper and the Answer Key is attached below, you can watch that for any reference. The Delhi University is one of the best university in India. The university was established in 1922 by Central Legislative Assembly. 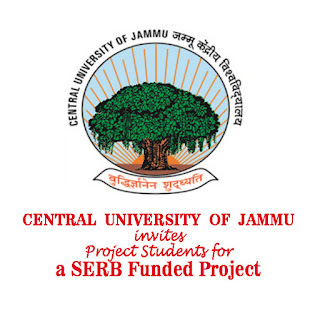 The University offers M.Sc Courses in Anthropology, Bio-Chemistry, Biomedical Sciences, Botany, Chemistry, Computer Science, Development Communication & Extension, Electronics, Fabric & Apparel Science, Food & Nutrition, Genetics, Geology, Human Development & Childhood Studies, Informatics, Microbiology, Physics, Plant Molecular Biology & Biotechnology, Zoology, Resource Management & Design Application. The university every year conducting the entrance exams to the students. A huge number of applicants take the admission in the university. Recently, the board had released the Delhi Univ M.Sc Admission Notification 2018-19. The university published the application dates from the official website. The applications available from the date of 18-15-2018. The aspirant’s for more information can check from the official website. This post includes the Question Paper for M.Sc Entrance exam conducted by University of Delhi (DU). For all those aspirants who appeared for entrance exam can check their answers according to the attached file. This will also serve to all those students who are willing to appear for DU entrance exam for the upcoming year as this will tell them about the level and standard of questions asked in the exam. 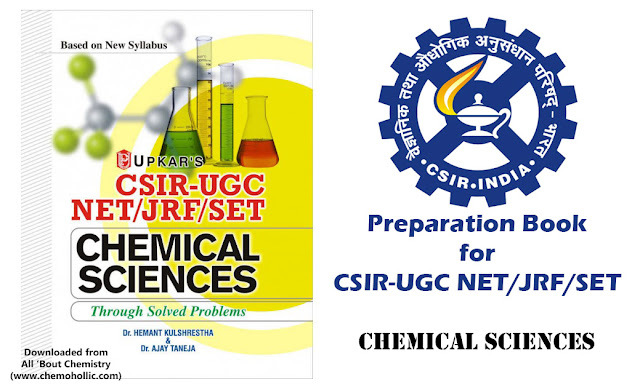 The below Question paper is for Masters in Sciences for Chemistry subject. Alongwith each Question there is an ID given and alongwith each opotion too the ID is written. The correct option is given below each question alongwith the ID. Please tally your answers with the given answers. NOTE: All 'Bout Chemistry is not responsible for any discrepancy (if arises), in the answer key which is published. 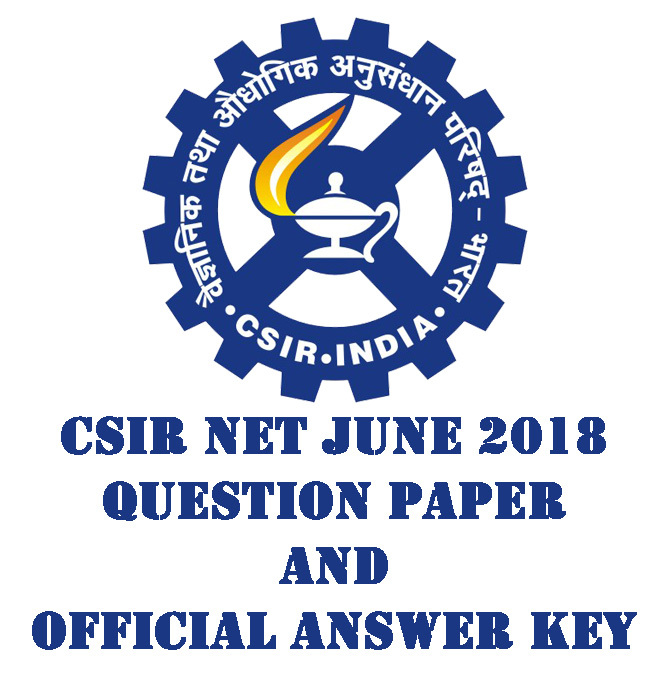 In this post we are providing scanned copy of CSIR NET June 2018 Question Paper with Expected answer key of the paper. The below attached file is scanned copy of the question paper and answer key. The file is SET A of the Question Paper and is in English Medium. CSIR provides options between a fully English question paper and a bilingual Hindi + English Question Paper. 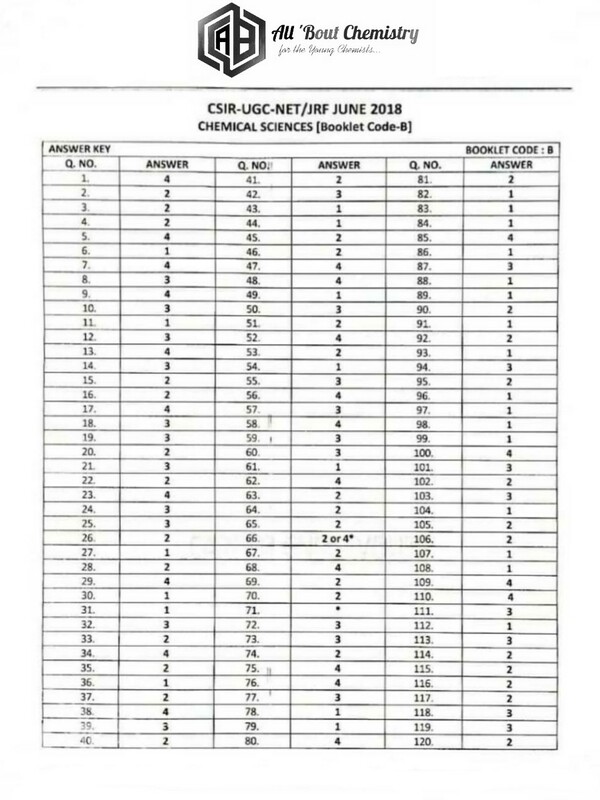 There are total 3 Sets of Question Paper namely SET A, SET B and SET C. We are providing SET A in the below attached file. The Above attached file is Scanned PDF file of Question Paper asked in CSIR NET June 2018. DISCLAIMER: All 'Bout Chemistry is not responsible for any discrepancy (if arises), in the answer key which is published.